Science Literacy Week 2017: You can really taste the silt. For today’s Science Literacy Week entry, I’m featuring the work of one of my favourite comic artists, Abby Howard! 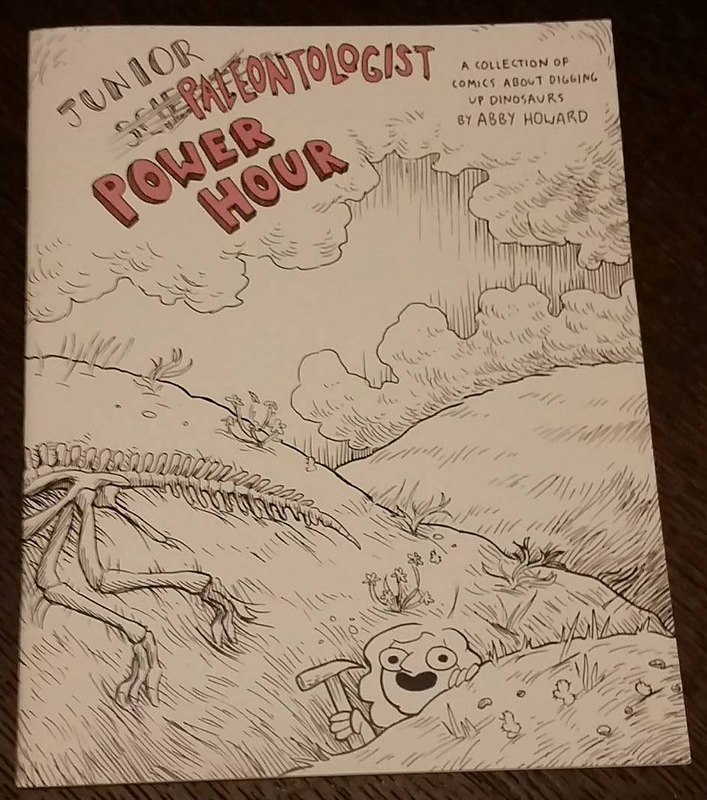 Abby’s webcomic, Junior Scientist Power Hour, has been a favourite of mine for a few years now, where I first encountered the Junior Palaeontologist Power Hour sequence of comics. 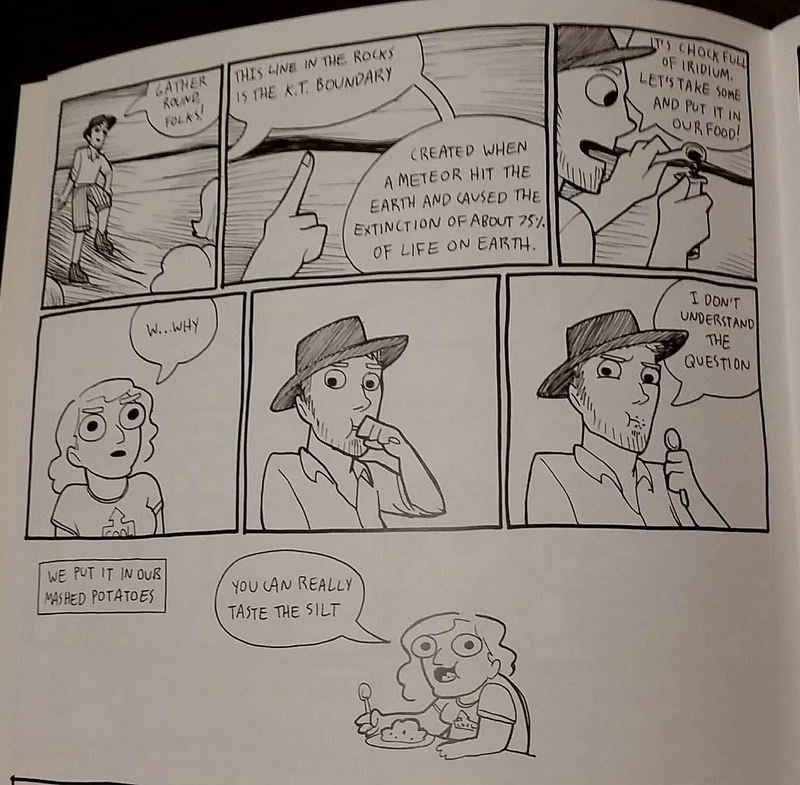 Now collected into a paper book all of their own, JPPH tells the tale of Abby’s time at the McGill University palaeontology fieldschool in Saskatchewan, and it’s a hoot. What I like most about Abby’s take on palaeontology fieldwork is that it’s really honest – finding dinosaurs is amazing, but it’s also hot, dirty, tiring, and not the sort of thing I really grew up doing. Learning how to survive in the badlands was tough for me, and it’s nice to know I’m not alone in becoming a disgusting sweaty disaster while out there doing the good work of finding fossils. It’s also hard not to like a book where I know some of the characters, and this passages cracks me up every time. 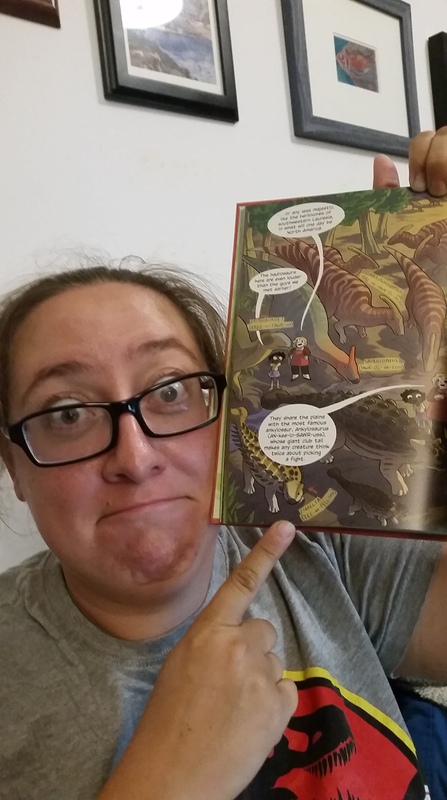 Abby also just published a graphic novel all about life in the Mesozoic, called Dinosaur Empire, and GUESS WHAT ZIAPELTA MAKES AN APPEARANCE! So obviously, I’m down with this one as well. Can’t wait to see what she does next! PS I’m talking about Zuul at several Toronto Public Library branches today and tomorrow, come on out if you’re in Toronto and say hi! I’ll also be hanging out with Zuul at the ROM’s Family Funday this Sunday!